Click here to download the Fred Foundation logo. Zip-file with logo in various formats, including eps and vector. 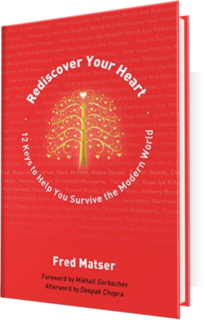 Fred Matser is founder and chairman of Fred Foundation. Fred was born in the spring of 1945 just before the end of the second world war. Fred’s parents planned to name him Paul, but as that was the name of a Dutchman who had been a collaborator in the war, they didn’t feel it to be appropriate. Instead they agreed to name him ‘Fred’. Though it would have been more typical in Holland to have been named ‘Frederik’, for some reason they just liked this name. Decades later Fred found out that his name means ‘peace’ in Scandinavian languages; a wonderful reason for naming the foundation ‘Fred Foundation’. The symbolism of the circle matches the foundation’s philosophy perfectly. The circle represents unity, wholeness, oneness and infinity. No beginning, no end and no direction, it cannot be broken. It represents a completeness which encompasses all space and time. The circle is the symbol for planet earth (round globe). It is also a sun symbol. Symbolically the circle depicts the unending, the unknowable, the un-measurable, the un-graspable and the indefinable aspects of eternity which surpass and baffle our rational minds. In other words, the circle is the symbol of divinity, completeness and unity. Green is the color of the heart chakra. Your heart is the center within your physical being attuned most to love. And of course, green is the color of sustainability; something we always strive for. The color blue symbolizes wisdom and trust. Blue is also known to have a calming effect on the psyche. Look up to the blue sky or gaze into the blue sea for a while. Feel the difference? Amatic is a clear hand drawn and fun font; we think that the world is already serious enough. Instead of a ‘copyright’ sign (©) we used a smiley to add a little fun to the logo. It is also a tribute to ‘The Twinkling Eyes Club’, which our founder Fred Matser started in 1991. It is the only non-exclusive club in the world. Wishing the world miles of smiles. And that is exactly want we strive for.